Power, reliability and versatility become a winning mix in our decatizer with steam under pressure mod. WOOL POWER. 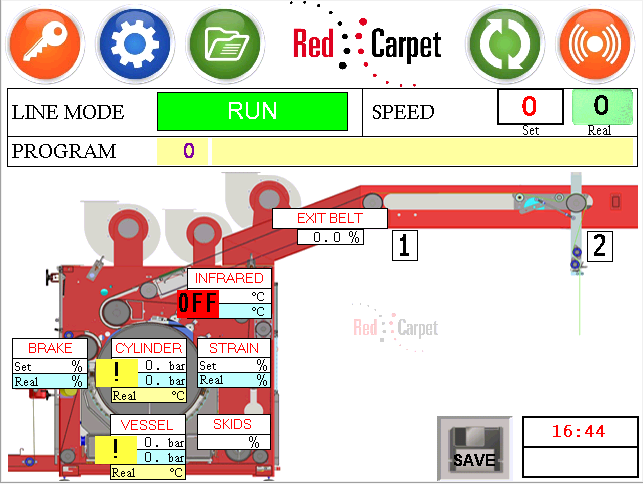 After an accurate research , RED CARPET has developed a technologically advanced decatizer, capable to improve what has been so far obtained on similar decatizers, while solving some of the problems noticed in the traditional decatizing process. The identification and the careful study of those parameters having a positive influence on the "hand" of the fabrics, has provided the basis for the WOOL POWER design. 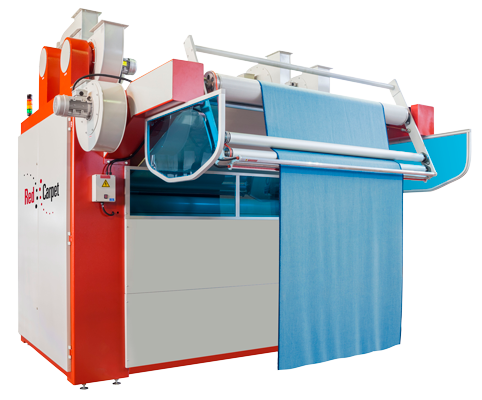 This decatizer has proved to be extremely effective for woollen and worsted fabrics for both, preparation before the KD operation and for the final finish decatizing. 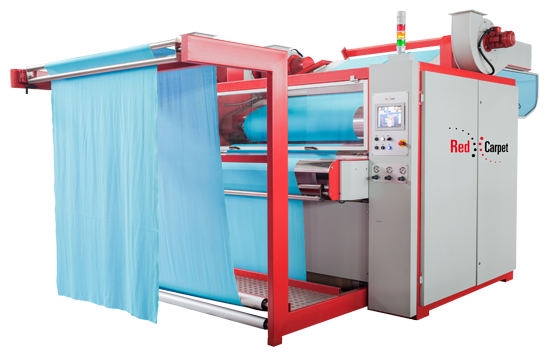 for wool blends fabrics and for 100% synthetic fabrics (PES, PES / Viscose, ...), thus eliminating the typical problems of batch processes. The exit has been designed with a conveyor belt which transports the fabric without tensions , thus making the decatizer WOOL POWER suitable for the treatment of any kind of fabric, woven, knitted and stretched. 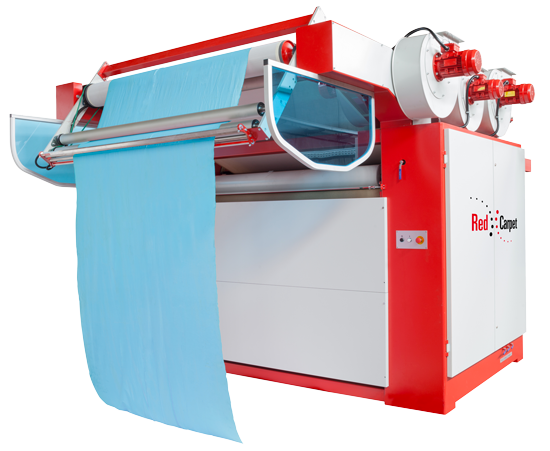 The “extra power” option makes this decatizer particularly suitable for synthetic fibres, ensuring results of “hand” and aesthetics unimaginable, thanks to the pressure that can exert on the fabric while it is in the ideal conditions to be crushed (i.e. during the treatment with steam under pressure , when the fabric is still changeable). The Infrared lamps sector allows the removal of the exceeding steam from the fabric while retaining the right humidity content, thus giving to the treated fabrics a “hand” that proves to be "conditioned". 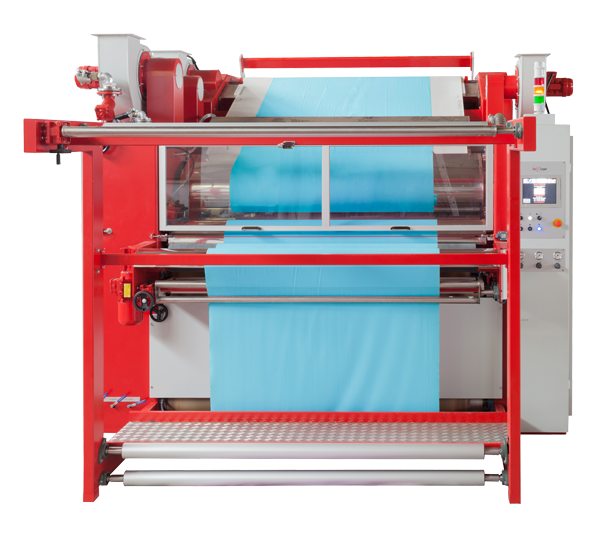 Such a system, being without parts in contact with the blanket, ensures a perfect uniformity of the treated fabrics. Blanket designed and developed in close contact with the supplier to enhance the characteristics of ”hand” given to the treated fabrics while ensuring a much longer lifetime if compared to what obtained by similar decatizers.